Atomic Wallet provides a powerful “on-demand” service that enables users to reduce the effort spent on managing cryptocurrency assets and makes it transparent and reliable. 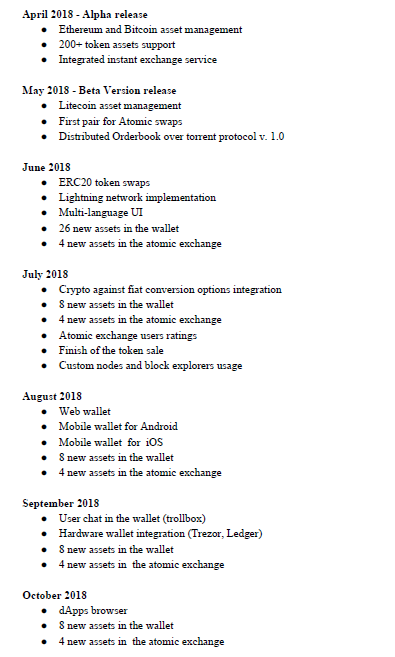 To make the platform even more convenient and useful for users, the Atomic Wallet team uses the best user interfaces and security techniques, which makes it easier to use the functionality of the Atomic Wallet platform in full. Personal documents: One of the problems associated with a centralized exchange is that they often request for a personal roof of identity during depositing or withdrawal, this information are usually stored on the computer which in the case of system hacking or misguidance can lead to loss of information, fraud or theft. some people even sell customers personal information for their own personal gains. Security: In centralized exchanges, you don’t have control over your assets, the team does the control. Also, they store all users’ details with just a single entry which is susceptible to hacking which could lead to loss of funds. 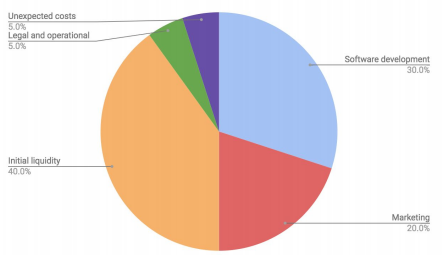 High trading fee: While the trading fee on centralized exchanges ranges from 3–10%, decentralized exchanges have a very low trading/transaction fee and it ranges from 0.1–1%. Trust: This challenge is one of the greatest challenges facing exchanges as a whole. We have heard of several cases of cryptocurrency exchanges shutting down unjustly and went with peoples hard earned assets. For instance, octaex and Bipaction recently shut down their exchange without prior notifications and went with people’s assets. All the aforementioned problems will be solved by the Atomic project with a classically new approach based on the power of decentralization of digital assets exchange. The atomic project will create a versatile and convenient decentralized avenue for the middle-man’s free cryptocurrency trading. Atomic wallet adopts various means of exchange. Also, the atomic wallet will provide a decentralized and immutable environment for its users, thus making their wallet to be serverless, and provide the immutable properties in all aspects. Clients are guaranteed the highest level of security because we will employ a strong encryption and custody free-solution. Only you have the control over your funds without the interference of the third party. Your private keys are encrypted and it will always be on your device. Your security is highly guaranteed because all the data entered when transacting with the blockchain will be fully encrypted, local data is secured with AES and the data obtained while interacting with the blockchain is secured with TLS asymmetric encryption. A palatable wallet that can handle numerous cryptocurrencies and tokens to you. With the list updated daily, at the moment, atomic wallets support over 300 tokens and coins and many more coins will be accepted. The atomic wallet is currently available on Google play store and Apple app store. Atomic Swaps is a new technology that makes it possible to exchange cryptocurrencies directly and without third parties. Uses decentralized Atomic Swap to proceed with cross-chain exchange avoiding third party risks. For coins not yet supported by Atomic Swap, we have built-in ShapeShift and Changelly exchanges. A cross-chain is an exchange of cryptocurrencies between users. Basically, party A sends Coin A to party B’s Coin B address via blockchain, while party B does the same with Coin B. These actions happen independently on parallel blockchains, in a one-way fashion. Such setup raises the possibility of either of the parties never honoring his/her end of an agreement. One of the ways to solve this issue is involvement of a trusted third party. An atomic cross-chain swap, on the other hand, solves this problem without the need for a third party. Atomic swaps require each party to arrange a transaction contract. The contracts contain an output spendable by the the opposite party, but the rules required to collect is are different for each party involved. The first party (called the initiator) wishes to trade Coin B for Coin A with the other party (called the participant). 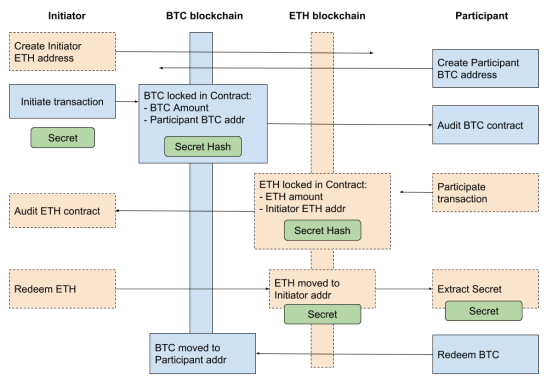 The initiator allocates the intended amount of Coin B to a contract and generates a “secret”. The secret will later allow the participant to collect the contract output. Until he/she learns the secret, the participant is unable to spend from the initiator’s Coin B contract. The participant creates a contract on the Coin A blockchain in a similar to the initiator fashion. To create the contract, the participant requires a cryptographic hash of the initiator’s secret. The initiator could not access this contract without revealing the secret to the participant. After both parties created their contract, neither of them can collect their coins back until the alloted time expires. The initiator redeems the participant’s contract, thereby revealing the secret to the participant. The latter redeems the former’s contract using the secret extracted from him/her. When a certain period of time (typically 1 hour) expires and the participant did not redeem the contract output, it is refunded back to the initiator’s wallet. The participant’s contract can also be refunded back to the participant, but only after half the period of time that the initiator is required to wait before their contract can be refunded (typically 2 hours). The initiator can also trade Coin A for Coin B and the procedure will be the same, but with each step performed in the opposite direction on another blockchain. This procedure is considered atomic (i.e. with a timeout) since it gives each party at least 24 hours to redeem the coins from the opposite blockchain before a refund can be performed. The success of the Atomic Wallet is contingent on the participation of a variety of different users. 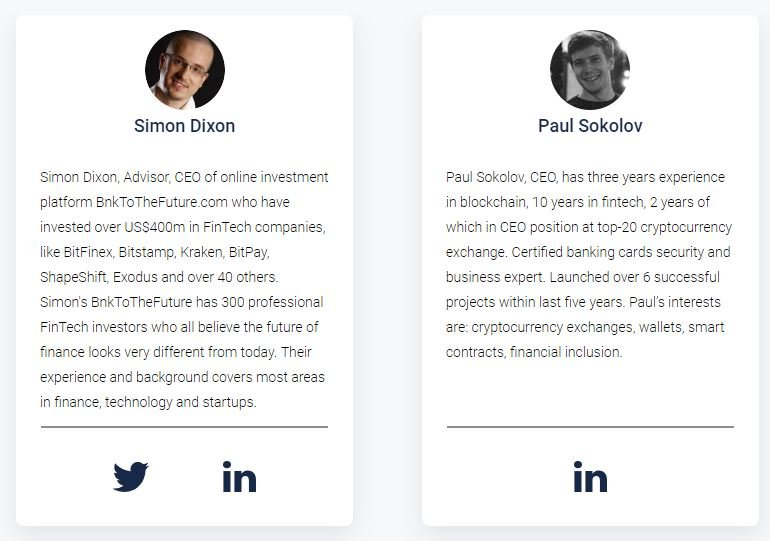 We will briefly give an overview of the key roles that participants can play in the Atomic ecosystem. Traders​. End-users that hold, convert and transfer blockchain assets. Blockchain Assets Issuers​. People, companies, communities, organizations or foundations that issue new Smart Tokens, configuring the initial supply, price, CW, and managing the initial issuance of tokens. This also includes creators of Relay Tokens, which can connect any existing ERC20 tokens​ to the network. Cryptowhales​. Traders with the amounts of assets too big to be normally adopted by openmarkets and willing to perform personalized or non-personalized risk-free OTC deals​. Arbitrageurs.​ Traders that monitor the Decentralized Orderbook for prices that are inconsistent with an external exchange, and then restore price consistency through arbitrage. Arbitrageurs are organically incentivized to keep prices consistent and hence are important participants in the Atomic ecosystem. 3rd party developers​. Companies or individuals creating services utilizing Atomic Wallet DOB and Atomic Swap code. Developers can build specialized Atomic Wallets, exchange Relays, Decentralized OTC platforms or implement part of the Atomic functionality in their existing services. We can see that the Atomic-Swap is developed to manage transactions among 2 different virtual currencies. Atomic Swap is a technique that can exchange digital money in “cross chain,” straightly, without going from side to side any 3rd party services. Among the 2 ways above, Atomic Swap works by applying Hashed Time lock agreements (HTLCs). The applying of this HTLC is derived from the idea of BTC community that applies Lightning Network. Consumers can exchange at any moment: just a few moments is sufficient for this. No decentralized solutions: the absence of one server positively effects the featuring of the Atomic-wallet platform.